No matter how talented the DJ or how great the mix, poor quality equipment can make an otherwise professionally planned event sound like amateur night. I work with the latest professional audio equipment to help ensure the highest sound and music quality for your event. I maintain my equipment in top working order and add to overall inventory regularly. And should your event require additional equipment, I can easily bring in additional audio and lighting pieces through my relationships with the top professional audio & lighting suppliers throughout southern New England. Speakers: QSC K-12’s w/subwoofer. System offers 1,000 watts of clean performance power per speaker. Mix Boards: Mackie live: (1) 402-VLZ3, (1) 802-VLZ3. Computer: I use Apple products which include: 2 15″ MacBook Pro’s with 320 GB HD, 4 GB RAM. In addition I use The DJay program for Mac with a Vestax Spin Controller. This program is compatable with my iPad and iPhone. External Hard Drive: (2) Glyph GT 050Q’s; 1TB external hard drives. Wireless Microphone: Sennheiser EW 135G3 digital wireless mic. CD/MP3 Players: Dennon & Pioneer (if needed). Premium Chauvet Dance Floor Lighs: (1) Vue 2.1, 3.1 (1) Cubix and Swarm. In addition I use 2 sets of Foreplay LED lights (total of 8 lights) and just recently purchased 2 sets of ADJ Quad Scans (2013). In 2014 I purchased 2 Swarm FX5’s. 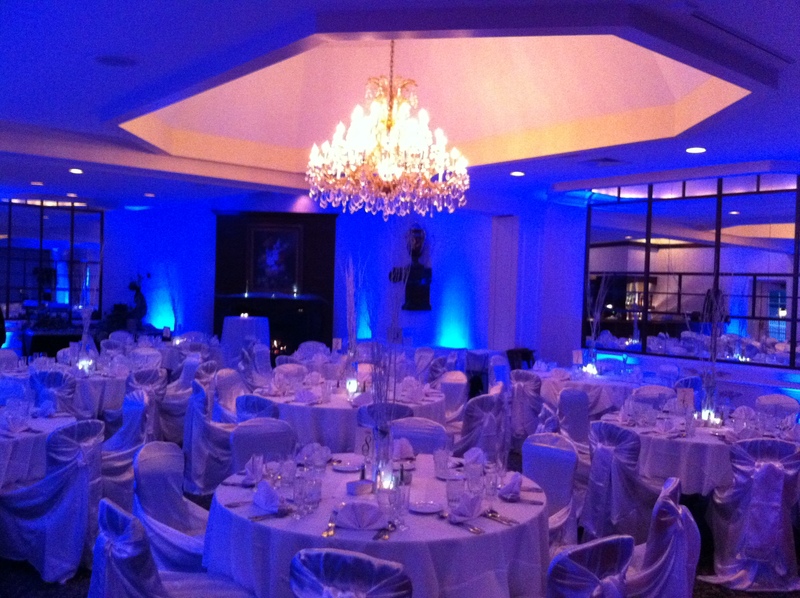 Dance floor lights enhance any party or reception. In many cases reception halls and venues do not provide or have proper working areas for DJ’s. This can limit the amount of dance floor fixtures used at your event. 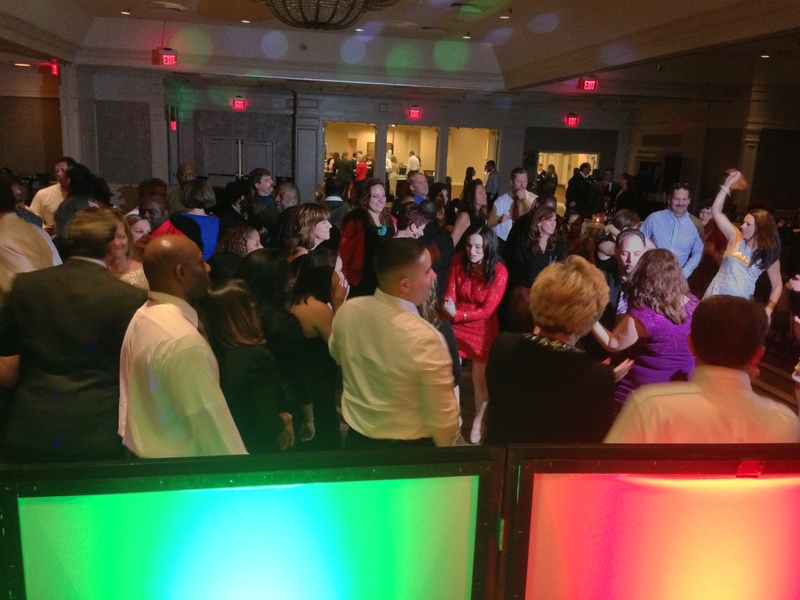 To maximize the effects of dance floor lighting; a minimum working area (including a six foot table) should be 18/20 feet wide and 6 feet deep. This is a safe working area for the DJ as well as guests who may come up to the table during the course of your event to make a request. Up Lighting: are light fixtures placed on the floor (which can be set to a variety of colors) close to a wall and away from tables. 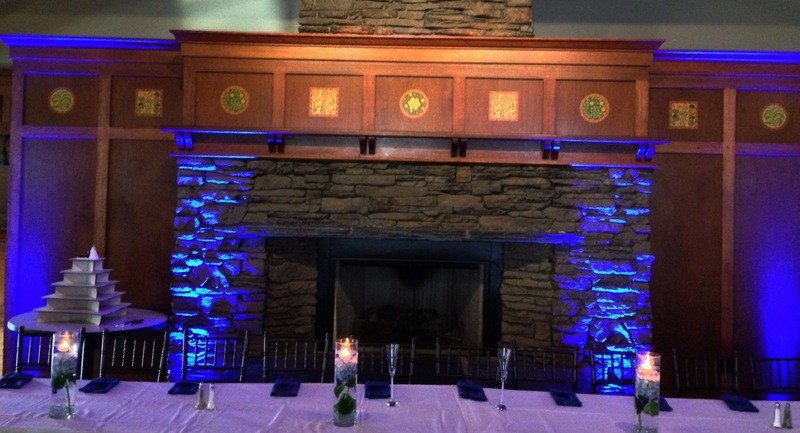 The light points up against the wall which then enhances the event space. The color and effects of the fixture (fade, chase, sequence) can be subtle or dramatic depending on the creative vision of your event. For Up Lighting: I use: American DJ QA5 Flat Pars, Chauvet Batten 72 Concert Tour LED color strips, and Chauvet battery powered wedges. Thank for sharing the video it is really cool.I agree in your terms that no matter how the dj is talented and or how great your mix if your have a poor quality equipment it doesn’t make sense.